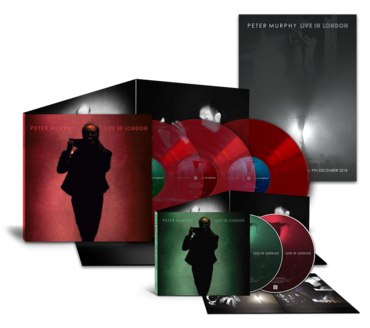 Live Here Now is releasing Peter Murphy’s newest live album, Peter Murphy Live In London, with an expected ship date in early April. 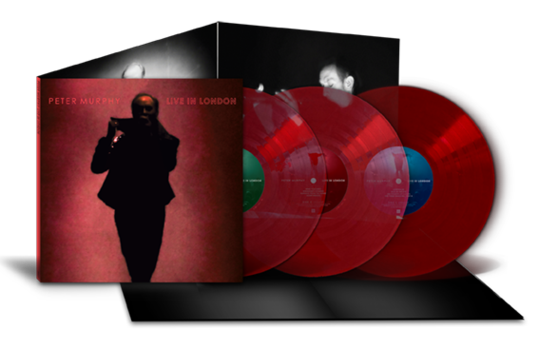 The two CD or three vinyl set includes the complete performance of the December 9, 2018, 40 Years of Bauhaus Ruby Celebration show in London. Pre-order the album today! Features on the recording are Peter Murphy (vocals), David J (bass), Mark Gemini Thwaite (guitar), and Marc Slutsky (drums). No signed copies of the album will be made available (these were exclusive to a handful of dates along the final days of the tour). A limited edition (500 copies) poster is also available along with various bundle options. 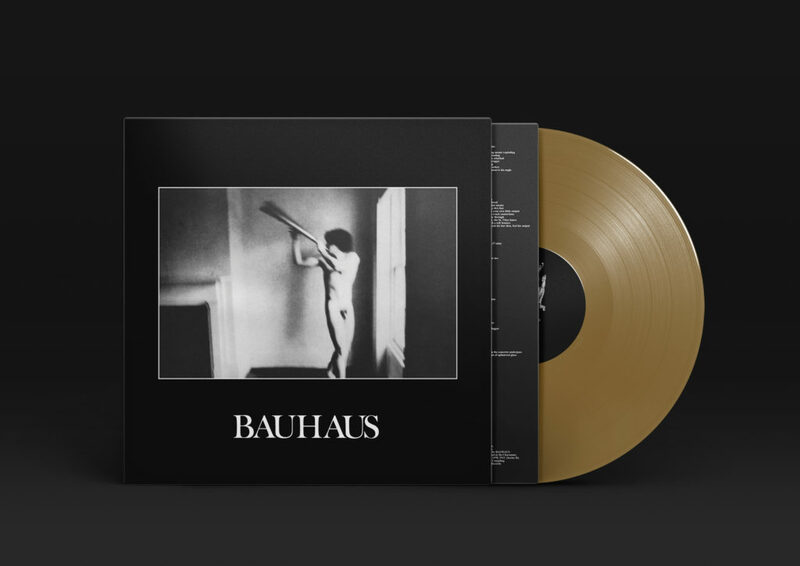 Official Bauhaus historian Andrew J. Brooksbank recently previewed/reviewed each of the Bauhaus 40th Anniversary vinyl reissues and has given us permission to repost them here in their entirety. 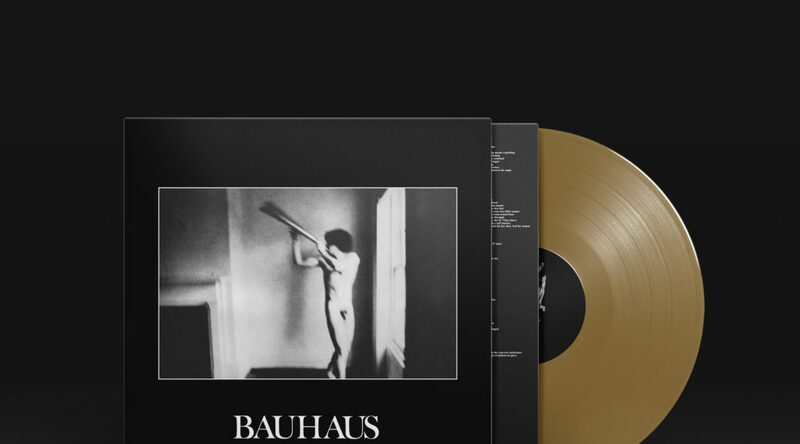 These reviews were also published on Louder Than War and will be (if they aren’t already) added to the 4AD/Arkive website. Credit for the below is to Andrew J. Brooksbank. No portion may be copied without his written permission. Bauhaus officially hit ruby status in December this year, but who’s counting! This set opens with perhaps their most powerful statement, the Peel session take of Double Dare, recorded in December of ’79, barely a year into their career and now reloaded, sounding incredibly fresh in new rouge and eye line. It’s interesting to hear now after listening to these records for the last 40 years that it’s Kevin Haskins, the bands cruelly underrated drummer who really shines and benefits from this overhaul, particularly on this, their debut L.P. In The Flat Field. Opening the record with a Panzer division of drums and with sonar blips bouncing through the channels Double Dare remains today much as it did in 1980, a mighty force. In The Flat Field, the album’s title track once again sounding as threatening and menacing today as it did all those years ago, Daniel Ash’s razor sharp, shards of glass, substituting as guitar chords, still slice through your veins, screaming banshee like until your ears bleed. The droning backing vocals during the refrain really lift the track now, almost inaudible in its original form…A God In An Alcove again Daniel’s guitar and David J’s hypnotic bass lines in this number, together with a stunning lift of Peter Murphy’s vocal, the multi-tracked elements in particular, all giving way to let Kevin breath once again….The manic Dive, all two minutes and ten seconds of it, has an incredible Daniel Ash saxophone now way up front, this one is a major highlight of this new edition, with so much more subtleties now audible. Spy In The Cab closes side one, the manic multi tracked slashing guitars now almost ripping at your flesh…. Side Two opens with the often overlooked Small Talk Stinks, an initial David J lead vocal paving the way for Peter Murphy to sound fabulous once again, the once in cohesive babble of the subject matter now making its way to the fore…before letting the furious St. Vitus Dance take over, the rampant guitars once low in the original minting are brought to life but its perhaps the incredible Stigmata Martyr that takes the crown here, David’s killer bass lines taking the lead throughout whilst the bleed though from the original tape now takes on a whole new resonance becoming more than an integral part of the track. The opening sinister piano notes of the albums final statement, the terrifying Nerves now setting the scene for the crescendo that follows, can only be fully appreciated through a decent pair of headphones, listen to Kevin’s skittering drum pattern play tricks with your ears whilst being slashed back and forth by shards of guitar (reminiscent of the album’s title track) then pounded senseless by stabbing piano keys, ending as it began…with a single note. 1980? 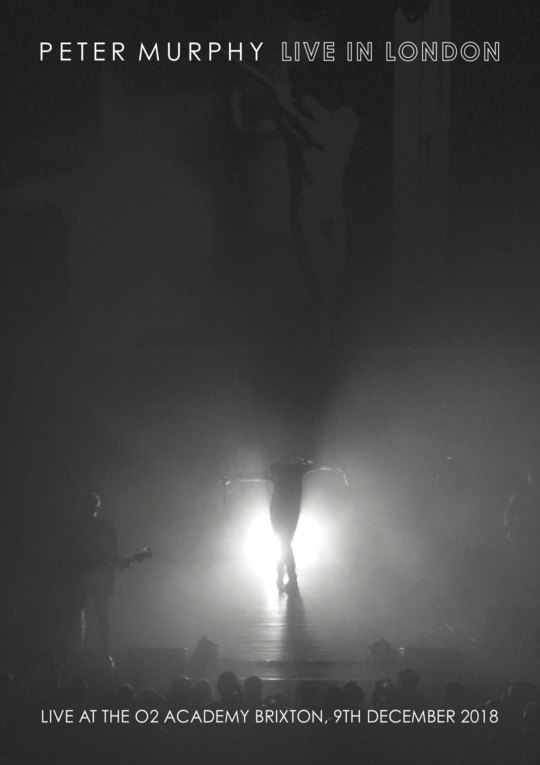 Not in my world…..
Peter Murphy will bring his 40th Anniversary “Ruby” Bauhaus Celebration Tour to Mexico and North America early next year! This final leg of the tour begins January 11, 2019 in Mexico City and concludes on February 28, 2019 in Los Angeles just before the much anticipated San Francisco career-spanning residency begins in March. 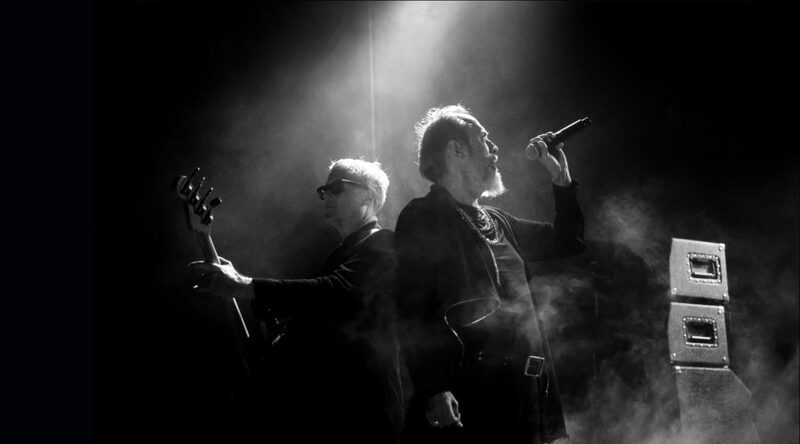 This tour features original Bauhaus bassist David J alongside Mark Gemini Thwaite on guitar and Marc Slutsky on drums. VIP tickets are available for most shows and include soundcheck access, meet and greet with Peter and David, VIP exclusive shirts, the opportunity to get items signed (usually limited to no more than five), and the ability to have your photo taken (you must supply your own small camera or cell phone – there will not be a professional photography company taking the photos and then emailing them out).